I recently started managing a new poker room in a medium sized town called Ennis in the West of Ireland. The poker culture in this part of Ireland is probably about 15 to 20 years behind cities like Dublin and London. 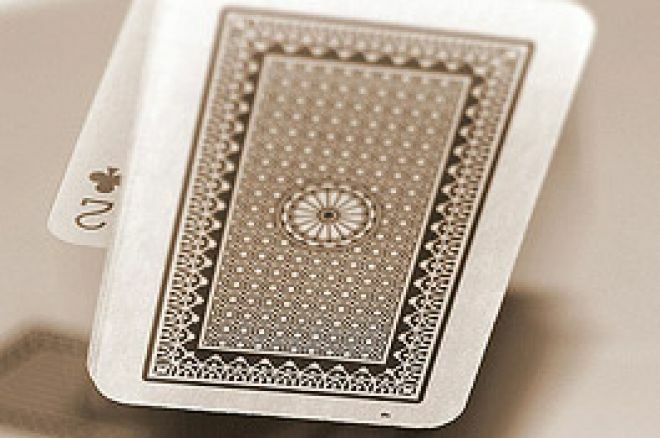 The most popular games being brag, 5 card draw, and gambling type poker games like southern-cross and deuces-wild. Poker is played here mostly at home and in pubs and, because the West of Ireland has less stringent law enforcement when it comes to illegal gambling and pub closing hours, it's common for tournaments and cash games to go on in pubs well into the small hours of the morning. The kind of games you hear about a lot, but almost never see that involve too much alcohol, IOUs and guys throwing their car keys into the pot. On one night this week, I scheduled a small buy-in freeze out tournament at my card room which clashed with one of these pub tournaments and, as I suspected, I couldn't compete with them. So, I decided to call down myself and play to see what I was missing. Now, before I go on to describe this appalling tournament I want to say that the organisers are incredibly nice people, they genuinely try to run a fair game and do not rake too much out of the pot. Also, they are very much restricted by time and therefore have to run a tournament that's a bit of a crapshoot. The Game was No Limit Texas Hold'em. The buy in was €50. There were about 50 entrants. You were allowed 3 re-buys and a top up which all cost €20 but the top-up was 25,000 chips! That's right, 5 times the starting stack and believe me, you needed it, because the blinds started at 100-200 and then doubled, or more than doubled, every 20 minutes. It was self deal with no cutting cards. I could see the base card about every second hand but gave up telling everyone after the first hand because it was wasting so much time. I happen to be a pretty good poker dealer. I train my own dealers in my poker room, so when it was my turn to deal and I riffle-shuffled the cards some players gasped at my abilities. Welcome to the scary modern poker world folks! I was introduced to some of the strangest rulings I've ever seen. One in particular was how to deal with an odd chip in a split pot which should always go to the player left of the button. Instead both players were given a Holdem hand and a flop, turn and river was dealt to decide who got the extra chip. If you had your big blind in before the blinds went up then the blinds didn't go up. This happened at my table where the player who was going to be big blind next hand put in his blind before the current hand was over, just before the blinds went up, but everyone agreed that because he had done that the blind didn't go up for the next hand. Interesting stuff! I got nowhere in the early levels and used all my re-buys but after I took the top-up I didn't have much less than everyone else, roughly, so the first 3 levels seemed a bit pointless really. Everyone took the top-up. You'd be insane not to. After the break I decided, with the steep blind structure, my best strategy to win was to gamble, play very aggressively, and get all my chips in the middle quite a lot. So 3 double ups later I was a huge chip leader. Now, when I say I was a huge chip leader I mean I had over 12 big blinds with 2 tables left. Going into the final table I was chip leader with 8.5 big blinds and the average was about 3 or 4 big blinds. I was amazed that players with almost no chips were still happy to limp in and then fold to a raise. I was getting walks on my big blind. I was raising the short-stacked player's big blinds and they were folding when getting 3 to 1. I eventually won the tournament quite easily through raw aggression. I even raised all in blind several times when heads up and won pots uncontested, despite the fact that my opponent knew I hadn't looked at my cards and had about 10% of my stack. After pocketing a handsome €1,800 for my efforts I looked around in amazement at 4 or 5 side games with a lot of money on the tables. Those games carried on until after 5 o'clock in the morning. Why don't these players want to play in a casino or poker room? Now, I know alcohol is a big factor but would it really make that big a difference if I served alcohol in my poker room? I don't think I would want to even if it did. Are they playing in pubs purely out of habit, because of the social scene? Do they feel intimidated and out of their depth by dealers with bows-ties and kidney shaped tables? One thing is for sure, it's certainly not because of the expense and surely the fact that the games are table stakes and professionally run should be an attraction that would help them overcome any fears they may have about walking into a poker room!? Apparently not. Habit is a really difficult thing to break.